The Libra horoscope 2017 predicts that this year will go by quickly, but that doesn’t mean that you will miss out on important opportunities. You will feel like you have more energy than usual, so use this to your advantage! This year will be an excellent one for the Librans. Try to keep your personal world balanced, but also leave some time to spend with friends, partners, and family. 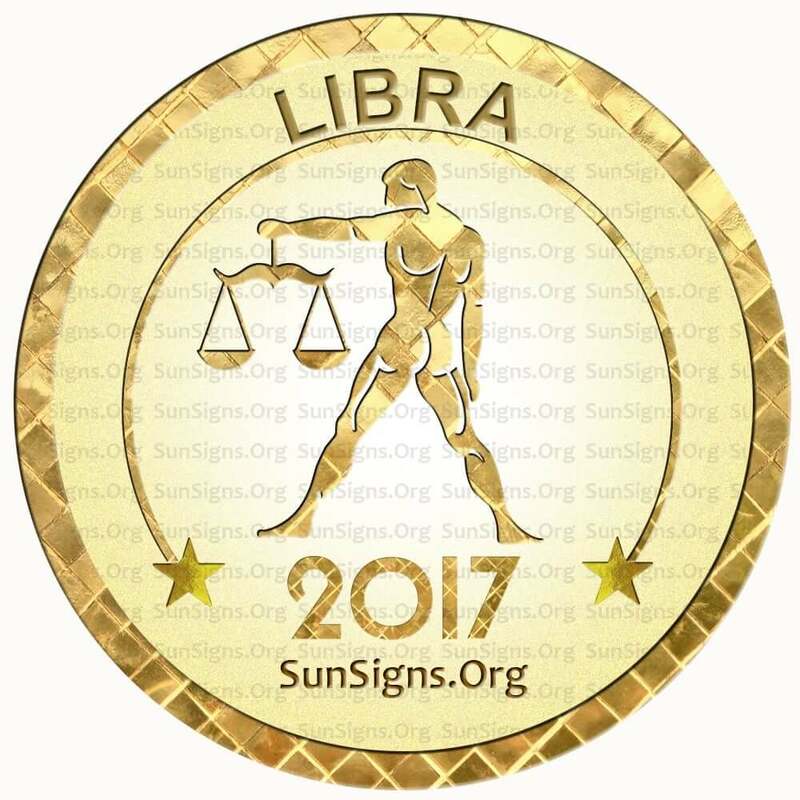 The yearly 2017 predictions for the Libra star sign says that you will have a great year if you play your cards right. Keep yourself balanced, and your year should be balanced as well. Life is full of good and bad. While it may seem hard to plan for the future, it is possible. If you are like the average Libra personality, then you want to achieve a sort of balance in all aspects in your life in 2017. You are a Libra birthday if you were born between September 23rd to October 23rd. One of the traits that a Libra has that makes them stand out from the crowd is their overwhelming sense of right and wrong. The Libra zodiac sign are also highly intelligent people, charismatic and romantic, as well as laid back. They can sometimes seem too self-invested and detached. Overall, their good traits weigh out their bad traits, which will help them in the upcoming year. The 2017 Libra predictions for love show that this year is a year of new beginnings. If you are single, then this is your year to find love! Your confidence should be prime this year, making it all the easier to put some flirty moves on someone who you are interested in. If you have broken up with or dumped someone else, recently, then it’s time to move on. Libra, you can’t find someone new if you’re busy being hung up on someone else. Libra astrology 2017 also shows that if you are already in a relationship, then make sure to try to keep the balance in your romance. Keep things exciting and romantic, but also know when to settle down and give your partner some space. Do not doubt your partner, or else they may do the same to you. This is also a year to reach out to others and make new friends. 2017 is also the year for the Librans to plan for a child or atleast think about pregnancy. Whether you want to meet new friends or a new sexual partner, it is time to go out and talk to strangers – even if your mother wouldn’t recommend it. (Read about Libra compatibility traits). The 2017 Libra horoscope predictions suggest that the Librans always crave to learn new things, and this is still the case in 2017. If you are in school, then you are bound to be extra productive this year. If you are working, then get ready to learn some new skills for your job. The Libra 2017 horoscopes advice that you will be better than usual when it comes to tasks of the mind, but tasks of the body – not so much. Make sure that you work hard so that you can play hard later. Business decisions by Libra men and Libra women need to be taken after some thought. The 2017 forecasts for Libra also ask you to try to keep your budget balanced this year. While having artwork and other beautiful items are important, it is also important to have food and money for rent. If you are not doing so well financially, don’t spend too much on things you do not need. However, if you are doing well, feel free to splurge. But don’t go overboard. The Libra 2017 horoscope asks you to use your energy to fine tune your body by playing sports or exercising. Like your physical energy, your mental energy will seem to peak this year as well. It will be easier for you to make decisions this year than in previous years. During 2017 do not forget about your passions! Work on your hobbies, keep in contact with friends and family, but stay away from sugary and junk foods. 2017 astrology forecasts show that this year things will seem like they are going by faster than usual for the Libra sun sign. Luckily, you will also be filled with more energy than usual during this year. So it won’t be too hard to keep up with all of the changes and the general pace of the world. January 2017 is a month for psychological development for the Librans. February 2017 will see a growth in finances but love life might be challenging. March 2017 is a difficult period for your health. Try to improve your immunity. April 2017 Mercury retrograde will play havoc. Just stay put till next month. May 2017 is a good month to expand your reality. June 2017 is a good time for marriage or planning a baby. Your money planning tactics will change. July 2017 sees a few problems in our relationships. Compatibility with children will be affected. August 2017 shows that your planetary positions support harmony in life. September 2017 will see you being mentally alert and learning from your mistakes. October 2017 shows problems in finances. The yearly Libra 2017 horoscope suggests problems in communication can affect your daily life. November 2017 is the time to go for a makeover. Try these health benefits to nourish your mind, body and soul. December 2017 can be problematic with the 2018 Mercury retrograde. So go easy on important decisions. Overall, the 2017 Libra horoscope foretells of excellent energy and excitement in your life this year. Have a great time!